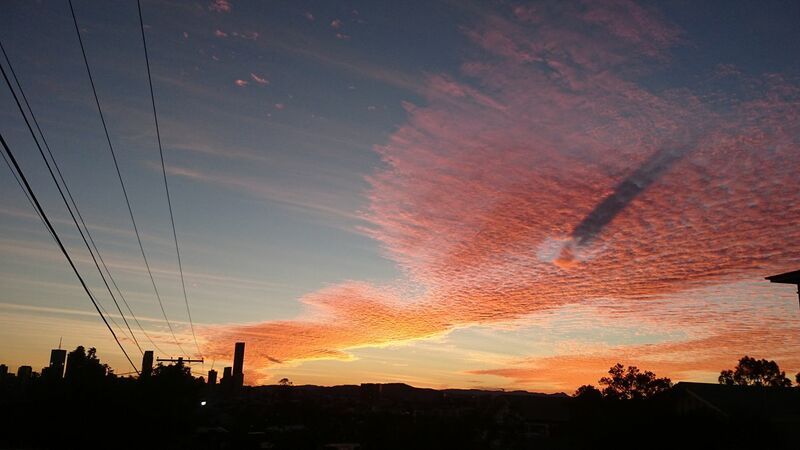 Some mid to high level cloud (altocumulus clouds) has moved across South-East QLD during the evening allowing for a typical beautiful and very colourful sunset, ending what has been nothing short of a perfect weather day where temperatures reached the low 20’s across South-East QLD and conditions remained quite mild in between gusts of wind. However, this typically beautiful sunset setup was influenced by another phenomenon with the combination of the 2 being quite rare. 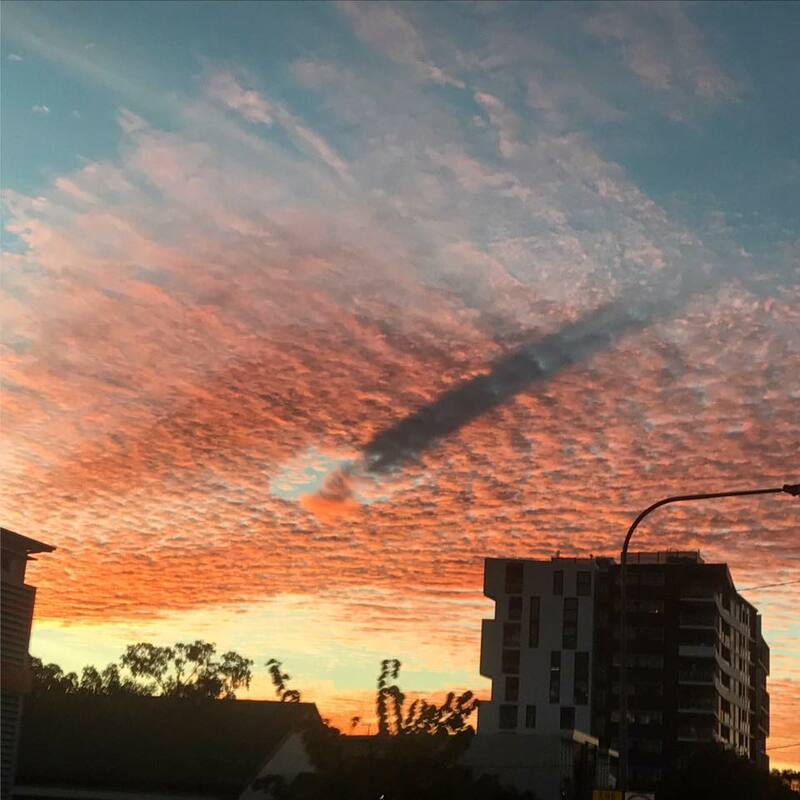 A fall streak or hole punch cloud occurred in the middle of the clouded area over South-East QLD, and while those on the Coastline were enjoying a golden sunset.. those looking back towards the West saw the fall streak area being ignited by the sunset. 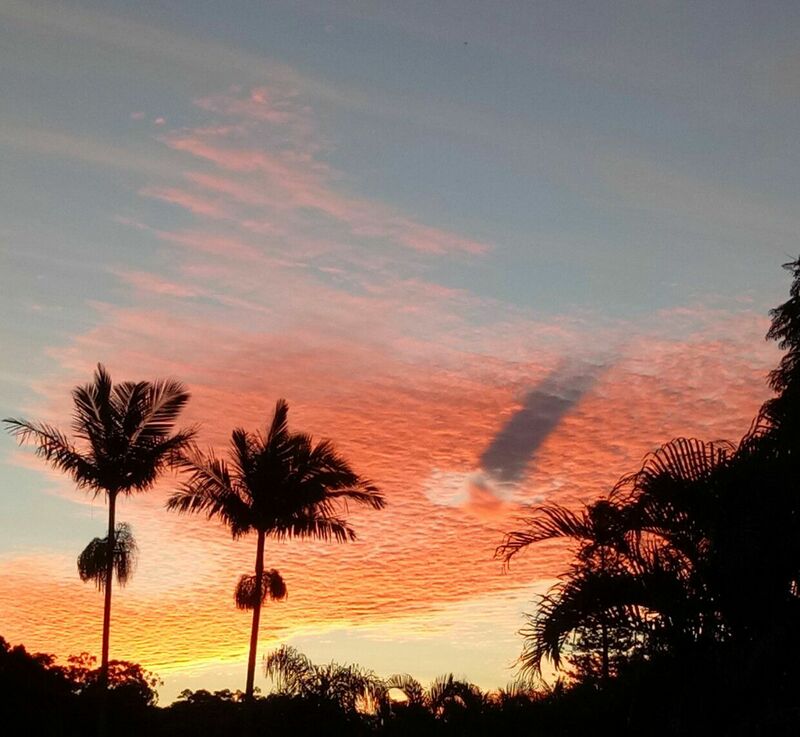 Those in the perfect position (East of the fall streak) got an even better treat when the cloud descended low enough so it casted a shadow over the altocumulus formation. 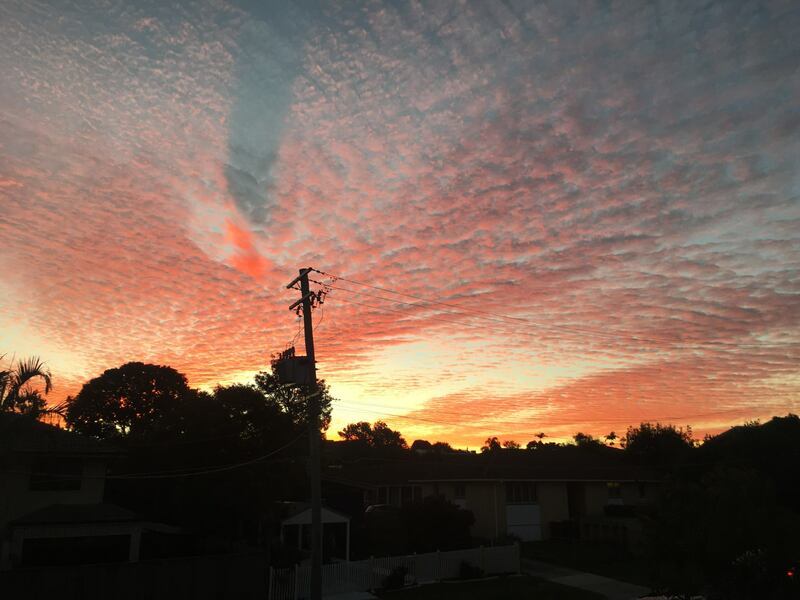 Fall streak clouds are a phenomenon where a large gap is created within a cloud bank in either a circular or elliptical formation. These holes occur when the water temperature within the cloud is below freezing but the water itself in a supercooled state has not frozen yet due to ice nucleation. 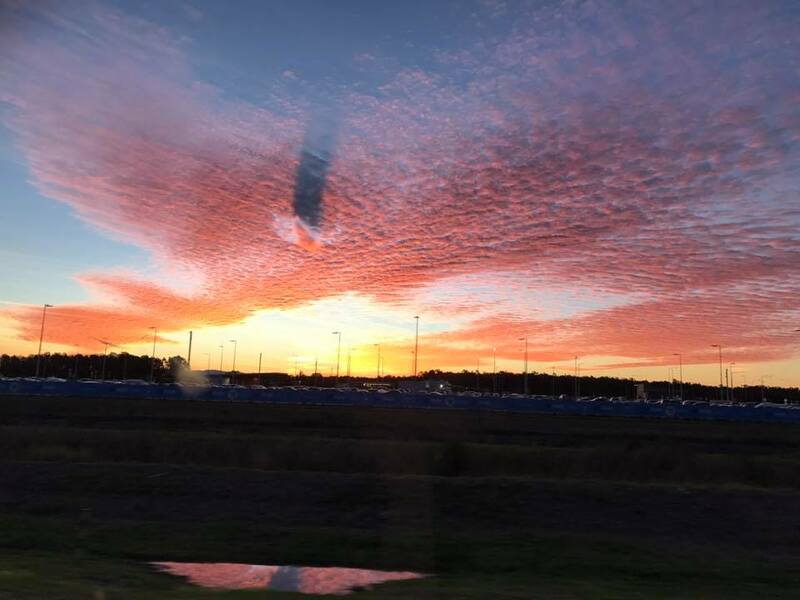 When the ice crystals in the cloud eventually form, it causes an effect called the ‘Bergeron process’ where the water droplets around the crystals evaporate and this leaves a large gap. 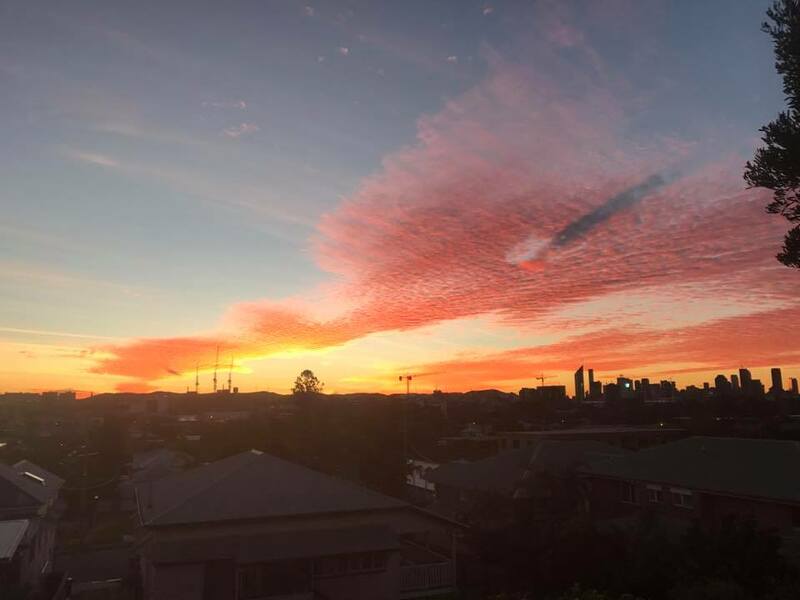 While this isn’t “uncommon” or “unusual” the act of this occurring on sunset in the perfect position is quite rare, and as many people saw today its mesmerising to watch unfold.